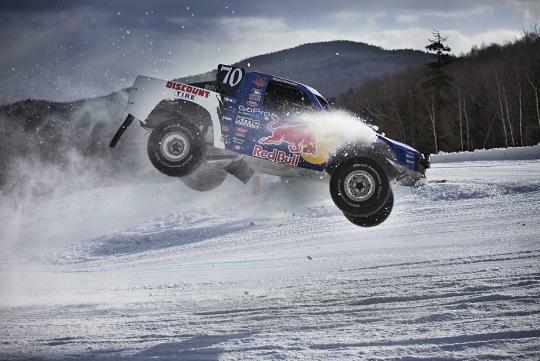 > 900bhp trucks on ice? 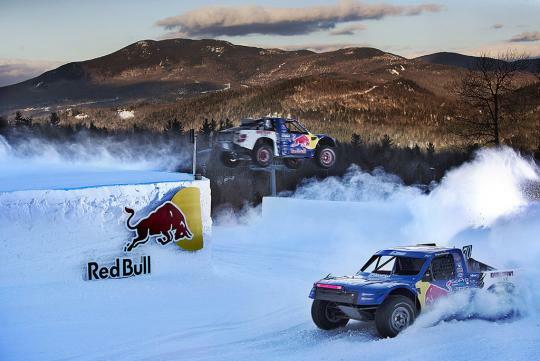 The Red Bull Frozen Rush 2014 has it. 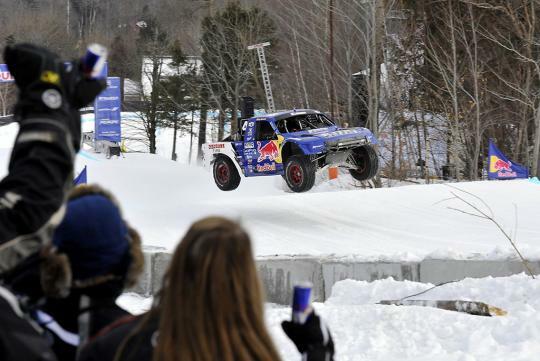 As we should all know, Red Bull is no stranger to extreme motorsport, it came as no surprise to see them place eight Pro 4 racing trucks on a specially-designed race course on the hills of Maine’s Sunday River Resort to see who is the fastest on ice. 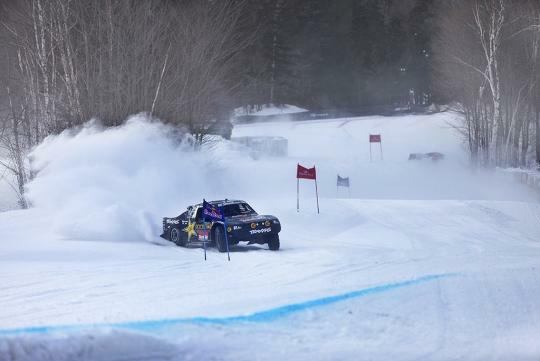 10,000 spectators braved single-digit temperature to witness motorsport getting an edge on Mother Nature and they were not disappointed with the fierce battles between eight of the country's best professional off-road truck drivers. 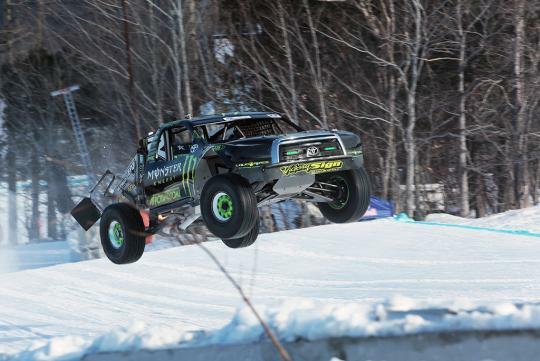 The racing proved to be intense from start to finish, with the final race pitting long-standing rivals Ricky Johnson against Johnny Greaves. With an extended four-lap final (all other rounds were two laps), Greaves lost to Johnson as he was penalised 5 seconds for gracing a race gate. 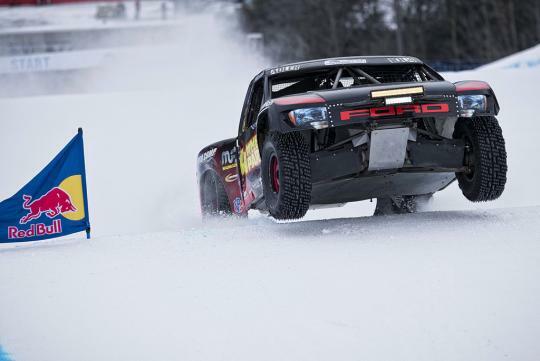 Watch the clip below to see the 900hp trucks, with specially studded Mud-Terrain BFGoodrich tires, go through the course (complete with jumps, slaloms and more), sideways mostly. 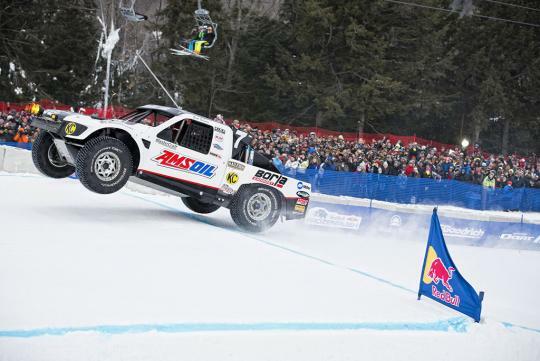 Red Bull does some spectacular events, but this is downright lame.